Tom and Jerry is a series of theatrical animated cartoon films created by William Hanna and Joseph Barbera for Metro-Goldwyn-Mayer, centering on a rivalry between a cat and a mouse whose chases include slapstick comedy. Where can you stream Tom and Jerry? 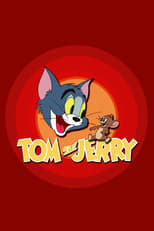 On 1940-02-10 Animation/Comedy TV Series Tom and Jerry first aired on CBS. Written and created by William Hanna & Joseph Barbera, and produced by Metro-Goldwyn-Mayer, Tom and Jerry has ended and last broadcasted on 1967-01-01.